Pink Soda Sport was launched in JD Sport stores - a chain specialising in training shoes, casual sportswear and accessories - in March of this year. Over the years, many of my running basics have been purchased from JD and so a fair level of trust has been built up thanks to the many pairs of lycra shorts sitting in the sports section of my wardrobe. With that in mind, I was already on board with Pink Soda Sport's functional and yet attractive sportswear. However, then throw the line 'from gym-to-street in style' my way and well, you've created a committed fan! Though I adore this entire Pink Soda outfit, my favourite piece is probably the stylish Mesh T-shirt. Running and/or working out in sports bras isn't always ideal (or appropriate, depending on where you are) and so the relaxed yet sporty style of this monochrome top is a key piece to have at hand. 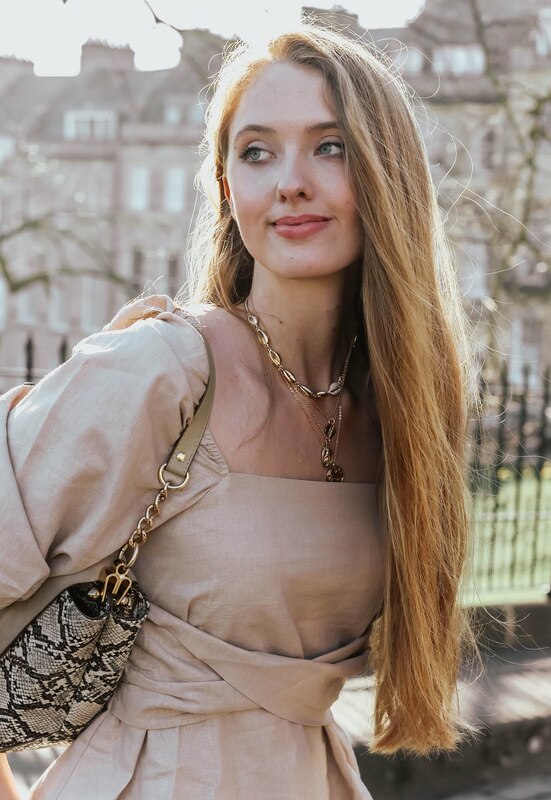 The mesh panelling to the sleeves combined with the cropped hemline makes it totally ideal, while preserving your modesty a little bit on those days when baring all doesn't seem that appealing! If running is your thing, I would recommend keeping the super-flattering black sports bra for the gym and/or light workouts. As gorgeous as it is (check out that geometric back design! ), the lack of support means it's just not suitable for bouncing up and down. However, speaking as someone who's forever on the lookout for activewear that doubles up for most types of exercise, if you're looking for leggings that stay up and in place, massively flatter and earn compliments while doing so, I'd suggest trying these Capri Leggings. They're made with a sweat-wicking fabric that pulls moisture away from the skin, as well as a flattering wide waistband. Psst! The Capri Leggings are designed with a hidden key pocket! With these gorgeous pieces, my activewear wardrobe is well and truly ready for the season ahead and all the many fitness goals I've set. Speaking of which, my knee is feeling one million times better now and so outside of my current fitness regime, it looks as though I'll be able to return to running soon - wrapped in Pink Soda Sport fitness essentials and listening to my Revamped Fitness Playlist, of course! This is such a cute workout outfit, nice activewear is always a huge motivator for me to work out as well. Although with me I'm so not matchy matchy with my workout gear! Such a cute workout gear!! Love the whole outfit! I love this workout outfit! Such a great workout outfit! I also like their logo. Have a nice weekend. Lovely post! Thanks for sharing! Happy Weekend :)! I've heard great things about Pink Soda and it looks amazing! Great post. I prefer my workout gear to be matchy-matchy as well. Not sure if it's the line itself or you, but, Gabrielle, you are looking SO good in these photos! I don't think that the fleece material will do me any good in the equatorial weather we have here, but ahh, the sports bra is winning me over! I have never heard of PINK SODA--love the way you photographed everything! You look great! I've never been ultra-fit but for a year or so I did really well at getting up early and attending fitness classes . . . then I got pregnant and sick and just got out of the habit. Maybe once this baby is here I'll buy some cute workout clothes and get started again. I love the leggings! they look fab, love the pink band round the middle especially with the joggers on top, so cute! Stunning design & such beautiful details - always happy to discover new brands! Thanks for sharing Pink Soda with us, Gabrielle. Never in a million years I would say that your diet isn't "clean" because you look stunning and so fit. In most cases no matter how hard we try to work out, nutrition has to be "cleaned up" as well. This is so my case. I have literally just finished a Kit Kat bar along with a cup of coffee with milk & sugar. So bad! I do lack energy big time though. I love this sporty outfit! It looks super comfy and perfect for workout! I really like the sports bra and leggings and it's nice to see you supporting newly launched brand. I love it when fashion meets fitness, it gives me a huge boost of motivation when I buy a new fancy sportswear. Having cute and stylish fitness gear certainly never hurts to keep one motivated to work out. This outfit looks really comfy and suits you very well Gabrielle! Thanks for the intro to the brand! Even though your diet isn't completely clean, at least your workout habits make up for it! That mesh top is really nice. I love how it is cropped, and the overall style is perfect for working out. I am so not the type to go out in just a sports bra when I workout because I'm already self conscious enough as it is while exercising, I can't just go out half naked! So I totally agree with what you said. Oooh I'll have to check this brand out, I love all the pieces you're wearing! The back of the sports bra is so cute, I can never pass up ones with fun details like that. I love this entire look, so stylish and practical. I love the track suit, you can tell that it's really cozy! I also love the back of the sports bra, shirt and those leggings, too! Thanks so much for sharing, I'm always on the look out for new fitness brands, so this was helpful! I hope you have a great weekend ahead and girl, your hair looks fabulous! I love the mesh in the top, it looks so comfortable and breathable which is what you need when exercising. I do love hints of colour on the leggings as well. So good to hear about your knee! Cute workout outfit! You look really great in this outfit! Love this outfit, it looks so comfy and I love the colour! All these active wear pieces you presented in this post are simply divine! I absolutely love that first pink and grey combo!!!! The combo of those leggings and sports bra/top is equally gorgeous! You look very very very fit (and very beautiful)! Great photos, I can totally see them framed in some gym, they're just the perfect fitness inspiration ( I haven't tried looking for fitness inspo on insta yet, but maybe I'll give it a try, the most common hastag I type in my search engine right now is fashion illustration:)). Anyway, phenomenal collaboration and photography! The weather is unpredictable here as well. Yesterday I look in the mirror and realized that I'm PALE and I'm that person that tans in a day...we had so many rainy days that I literally lost my tan. I don't think I've ever been this white at this time of year, usually by this time I have my Mediterranean tan game on, but not this year ha ha ha ha. you have the most beautiful hair! awesome active wear tho! so cute! Beautiful look babe! Looking very fit!! I like so much this look dear, you look great!!! These pieces are fantastic! They fit you like a glove and are fashionable too. And I love the Pink Soda name. Good luck with getting back to running! Never heard of Pink Soda. It suits you! Also you look beautiful! Wow such an amazing sports wear! Looks like very qualitative and absolutely amazing on you too! Beautiful pics and perfect you Gabrielle! I feel like having a good outfit to work out in makes you want to go so much more! What a great range of clothes to choose from, they look so comfortable and the idea of a hidden key pocket is a great idea! Sounds like a great brand. Love those pieces. And I'm glad your knee is feeling better! WOOOOOW I'm loving this sporty outfits, everything is just so great and beautiful! This sports wear looks comfy and good. Good to see It even incorporates ear plugs in it. Gorgeous photos girl! I'm with you, stylish and comfortable work out gear motivates me to get exercise in. These pieces are seriously cute! The logo is so cute and I LOVE the workout leggings!! I'm kinda into activewear lately and been looking for some cute styles, thanks for getting me inspired! This brand is so amazing for sportswear ! Love this outfit - pink and grey is one of my favourite colour combinations, especially when it comes to activewear. I agree, too - when I have great sportswear in my closet, I'm that much more motivated to wear it and look great working out in it, haha. You look gorgeous in yours! These are so gorgeous omg! Definitely need to check out this range, thanks for sharing gorgeous pictures! You have the cutest workout outfits! And your physique is amazing!! I had never heard of Pink Soda. Such a cute outfit! !